Do you watch “with” anime, or “against” it? On the philosophy of being an anime fan. Also translation theory. If you’re here from Asenshi or elsewhere, welcome. There is no tl;dr. Good luck. I’m not bothering to make the post break, so come back after you’ve watched the episode. It’s over, and yet it is just beginning. I felt it only appropriate to go back to our roots as a less than 24 hour sub group, and I can tell you my day started 21 hours ago when I woke up early to watch my first and last livestream of Aikatsu ever. I haven’t said this publicly, but to be honest, I could feel myself slowing down over the last year or so. 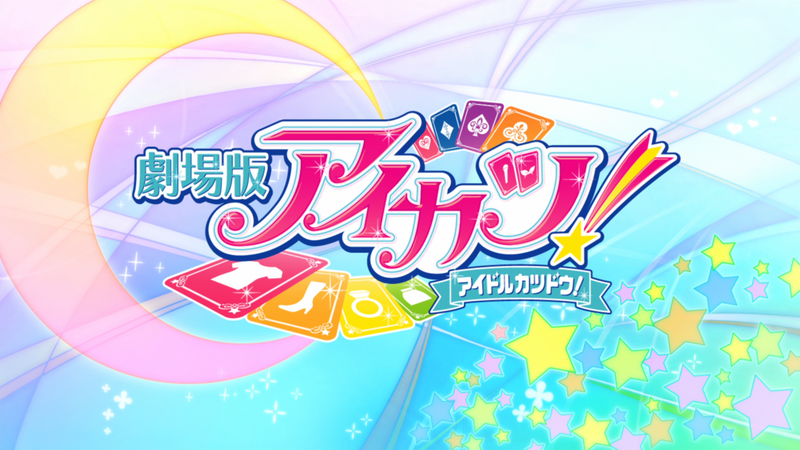 I still loved translating Aikatsu and watching it, but my fingers would stop, and I couldn’t press on. That didn’t happen with this episode. Whether due to some combination of emotional attachment, episode quality, experience, or just dumb luck, I could finish in record breaking time. Not only that, but Etoce pulled through and edited despite wanting to wait and see if he could do it better tomorrow. And in the biggest surprise yet, yuyu came back after a year of irc silence due to real life, just in time when my other encoders were busy to save the day. If not fate, I don’t know what to call it. This episode ended where the very first episode began: at Ichigo’s home of Nandemo Bento. She even throws in a little joke that she’ll make “nandemo” (anything) for Akari, but ends up making a bento. We get some real height comparisons, and what do you know—Akari is not only Ichigo’s height now, but Raichi exceeds them both. Noelle’s gotten her fair share too. Perhaps the most fun of references to episode 1 was with Aoi. She throws back the exact same line she had then (6:56 if you’re curious) about getting some secret information, and then makes reference to her underground information network. I’m sure some of you recall the insane connection she used to get those Mizuki concert tickets way back when. Plus, Johnny not so subtly mentions that Aoi has the makings of a Headmistress. Talk about giving us exactly what we want. I want to dedicate this release to Akari, least of all reasons as a final birthday present to her. She’s been along on this journey since the very first season, and after all this time has finally made it to the top. It’s only appropriate that her final and greatest present from Ichigo is to be able to call each other by their first names, the highest showing of mutual respect. From the moment she went on stage during the Audition Caravan, proudly showing off a picture of herself in tears thinking back on her worthwhile experience of failing once, I knew that she was an idol that we could grow together with, unlike Ichigo who we supported with all our hearts, and Mizuki who commanded utmost respect with her unrelenting dedication to idoldom. With each of them in turn, and with each pass of the baton, we grew up as well. Aikatsu is not a passive series. When you watch, it inspires you to actively go out and do your own activities. It has for me at least. 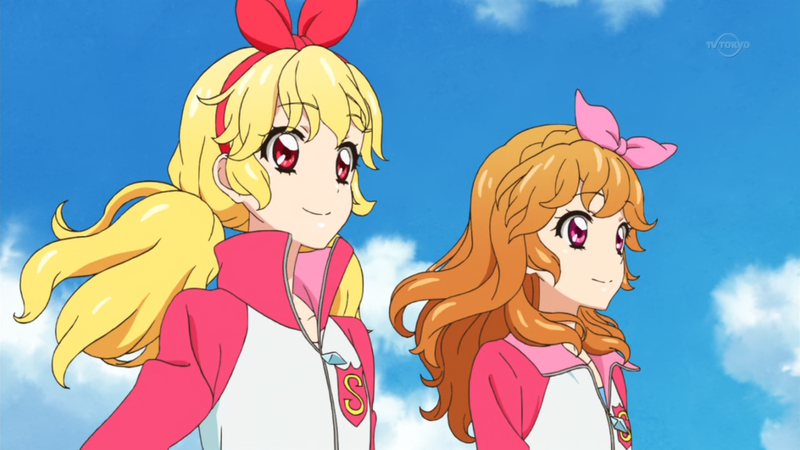 That’s why time and time again it was impressed upon us that yes, everything is Aikatsu. That so long as you don’t give up, you can be an idol in your own way, and earn the admiration of others. But like Akari, I couldn’t have come all this way alone. While she thanks all her fans for their smiles, I thank you for your support. Whenever you ask where the subs are, it motivates me just a little bit more to get on it. When I see that download counter go up, I feel that the late nights and hours of typesetting are worth it. And in the end, I couldn’t have asked for a better final episode. While I love bittersweet finales that make me cry, this episode gave me a smile on my face the whole way through. Scene by scene I could feel my past three and a half years come back to me, and see how much I’ve changed. I could relive all the fun times I had watching, and where I was during each. So thank you, Aikatsu. Thank you for love. I will never forget the impact you had on my life, and I’ll honor you by giving the same dedication to Aikatsu Stars. So one last time: My passionate fansubbing katsudou, Fankatsu! is about to start! Fufuhi!